Ready to plan your tour? We have the trip of a lifetime ready for your planning! Completed the form and we will get back with you with details and specific information. Cheryl Alexander has been traveling to Europe, particularly Italy, for more than 20 years . Her interest in Italy, its rich history, art and culture led her to purchase property near Orvieto, allowing her to spend more time there. Cheryl’s exploration of Italy include the regions of Tuscany, Umbria and Lazio, as well as the Casentino and southeast to Puglia. 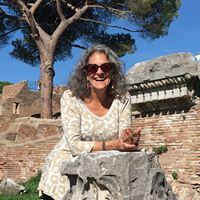 Her numerous trips to Italy have resulted in many friendships with the locals living in the area who are generous in sharing the region’s hidden treasures with her. She continues to explore Italy’s less traveled regions, and enjoys sharing her discoveries with others.